Entrepreneur Mauricio Botero wrote an Op-Ed explaining why selling part of Ecopetrol (NYSE:EC) to finance infrastructure projects is the way to go. 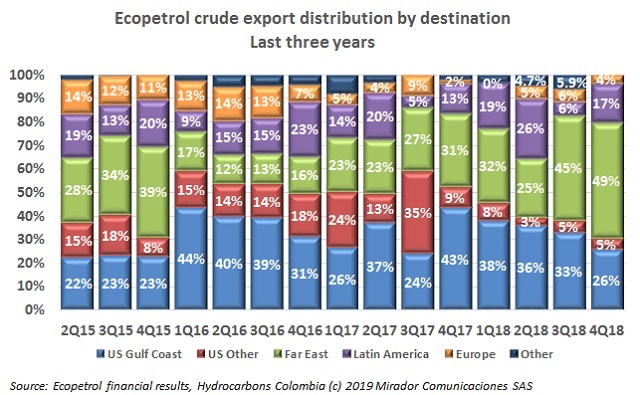 Although the industry’s situation in Colombia is still quite complex, the Executive President of the Colombian Chamber of Petroleum Goods and Services (Campetrol) Germán Espinosa, was optimistic about the future of the sector in the country. 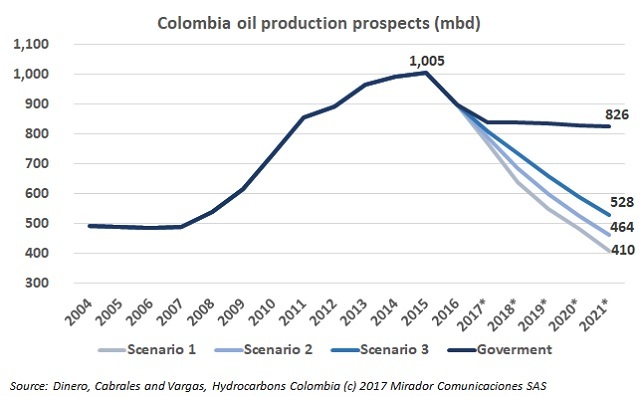 The Colombian oil sector has been key for the country’s economy, but its future is uncertain, as popular referendums and social unrest are putting its development at risk. Sergio Cabrales Arévalo, Doctor and Researcher in Administration of the Andes University, made an analysis of the sector’s future. Antoine Halff, researcher at the Center for Global Energy Policy at Columbia University and former lead analyst for the International Energy Agency (IEA), spoke about the situation of the industry in Colombia. The Colombian Caribbean region has high expectations about the benefits of the offshore industry. German Espinosa, President of the Colombian Chamber of Goods and Services (Campetrol) talked about challenges to supply operations. Some other countries that allocate few resources to generate alternative energies are Venezuela and Argentina. With the title “Fracking vs clean development mechanisms” a Llanos Internet news site tries to cover all the sides of the water issue but ends in a predictable conclusion. This week the USO reported on its national assembly and its plans to create an occupational health department. More important is a news item on hearings in Villavicencio on the social and environmental impacts of the mining and hydrocarbons sectors in the department of Meta. A left-wing senator, Alexander López Maya told the hearing that working conditions in Puerto Gaitan were typical of a concentration camp. That’s strange considering that Pacific Rubiales told a conference on sustainable communities and petroleum last Friday that it had no community or labor relations issues in Puerto Gaitan. Although the truth is no doubt somewhere between zero and the Gulag archipelago, we are inclined to think it very much closer to the company’s point of view than one reported by the USO.